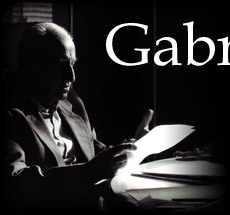 Il professore Gabriele Morello, economista e sociologo di livello internazionale, tratteggia la realtà economica e sociale di ventidue paesi esteri, descrivendo come i loro abitanti vedono la Sicilia e i siciliani. Se è vero, come scriveva Goethe, che "gli stranieri sono lo specchio migliore in cui possiamo riconoscere noi stessi", questi articoli possono servire da stimolo a un'ulteriore riflessione sulla realtà dell'Isola. Il volume contiene gli articoli pubblicati nella rubrica Come ci vedono del Giornale di Sicilia, fra il 3 ottobre 2004 e l'8 dicembre 2007. Gli articoli riguardano, in ordine cronologico di pubblicazione, i paesi seguenti: Cina, Germania, Israele, Repubblica Ceca, Olanda, Canada, Cuba, Italia (Alto Adige), Singapore, India, Paesi Scandinavi (Danimarca, Finlandia, Norvegia, Svezia), Spagna, Grecia, Francia, Inghilterra, Giappone, USA, Armenia e Russia. 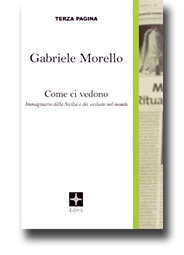 The volume contains 34 articles published by prof. dr. Gabriele Morello in various books and scientific journals on the subject of time and people's attitudes towards time. The content of the article varies from time orientation in management students to time perception in competitive bank services, from space-time tradeoffs to time awareness in tourism and leisure activities, from time and medical plants to modelling cultural goods and historical events, and other topics of contemporary interest. The author deals with temporal problems of profit and non profit institutions at national, international and global levels. He describes and measures attitudes towards time in different cultures, and projects the findings into the reality of management, organizational development and social change. This book presents the reader with one person’s lifetime research into attitudes to time in everyday life and socio-economic relations. 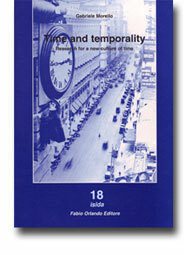 Spanning a period of thirty years, the papers provide not only an extraordinary depth of insghts into the subject matter, they also present the readers with an informal historyof time studies in organisation and management studies and they offer a window on the breadth of the author’s vision regarding socio-cultural attitudes to time, speed and temporality. ... The text takes us into companies and key institutions in Europe, Cuba, Hong Kong, South Africa, Japan and the USA, comparing and contrasting their members’ attitudes to time. It depicts time-based marketing strategies and consumer behaviour in African, American, Australian, European and Oriental societies. In the course of engaging with these studies, we traverse disciplinary perspectives ranging from social psychology to economics, statistics, management and marketing, all subjects in which the author of this book gained academic qualifications and which are skilfully brought to bear on the subject matter of his investigations. Every study, moreover, is underpinned by an extensive knowledge in time theory and a deep awareness of the methodological issues that arise when time is taken seriously in social science research.